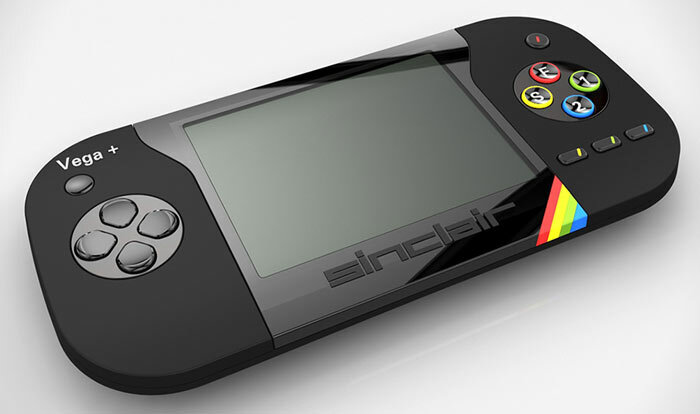 IndieGogo has hired a debt collection agency to recoup funds and reimburse backers of the Sinclair ZX Spectrum Vega Plus Console project. In an update posted to the handheld console's project page yesterday, you can read a message to backers from IndieGogo's Trust & Safety department regarding issues it feels haven't been addressed in a timely fashion by Retro Computers Ltd (RCL). The IndieGogo statement starts by reminding backers that RCL was already on a warning ahead of this update. It says that it had given the firm a provisional extension (15th June) to fulfil a number of requirements that would assure IndieGogo that all backers would receive their games consoles. It asked RCL to do just three things; provide IndieGogo with a review console to look over, immediately refund any buyers that no longer wanted to wait for the product, and provide contact details for representatives at the Sky (yes the broadcaster). IndieGogo has stated that "Unfortunately, these asks have not been met and we are unable to further provide the Vega+ team an extension". Thus, IndieGogo has started to talk to a collections agency to recoup project funds and return them to backers. There is still a window of opportunity for RCL to steady the ship and set things straight. IndiGogo said in its statement that "Please note that, while we are pursuing collections, this process can take considerable time and the Vega+ team still has the opportunity to fulfil on their obligation of shipping the consoles to backers." It ended the message to backers, and RCL, by saying that "We hope that the Vega+ team follows through on their promise, and that any remedial efforts on our part will be rendered obsolete." The last update from RCL via the IndieGogo page was nearly a week ago when in a 'news flash' it claimed that the first batch of Vega+ units would start to ship by 15th June 2018. It thanked IndiGogo and backers for support at that time. Since that time RCL has reacted to the IndieGogo actions via the Sinclair ZX Vega Twitter account. RCL says that it has offered to demonstrate a console to IndieGogo's London based representative. For some reason it doesn't want to comply and ship a unit to IndieGogo in the USA. In a discussion with the BBC, RCL chairman Dr David Levy, said that the project update and intervention was "highly destabilising" and has worried the firm's suppliers, potentially making it harder for the firm to deliver on its supply deadlines. Levy went on to say that RCL is "still determined to deliver to backers". The Vega+ IndieGogo campaign raised over half a million pounds. Previous to today's news, the portable retro-gaming inspired project has faced numerous delays and been hampered by management fallouts. Crowd funding is a gamble that there will be a ‘reward’ at the end, it isn't purchasing as some people think. I tend to go with stuff from Kickstarter, it seems more reliable. I'm awaiting a ZX Next from them. I've never had a Kickstarter go bad on me but one of my Indegogo's fell through so I tend to limit my exposure to them now. absolutely right. you should never gamble if you can`t afford to lose. i have backed, in a very minor way, a couple things on kickstarter but had the assurance that any money pledged would not be taken until there was actual product (elite dangerous being one of them). perhaps this has changed now?